Bujumbura – Investment in education, especially of women, would put Burundi firmly on the path towards sustainable development. While the primary focus of the Jesuit Refugee Service is the promotion of formal education, ignoring early-school-leaver women in Burundi not only negatively effects the individuals concerned, community development is also hindered. Or so the anecdotal evidence from JRS field staff suggests. Experience has taught JRS that there is a clear correlation between poverty and illiteracy rates. Countries with high illiteracy rates are invariably mired in poverty, and Burundi is no different. Yet with the return of more than half a million refugees since 2008 after years in exile, mostly in Tanzania, food security became the priority issue. Once this was addressed with the establishment of livelihood projects, JRS staff turned their attention to strengthening the position of former refugee and local women and girls in their communities through its informal education project. “Women are the true engine of Burundian society, yet they are still strongly excluded from education opportunities, and thus from playing a more equal role in their communities. One of the principal obstacles to improved educational attainment among women is the patriarchal belief system prioritising the rights of men over women”, said JRS Great Lakes Africa Director, Tony Calleja SJ. 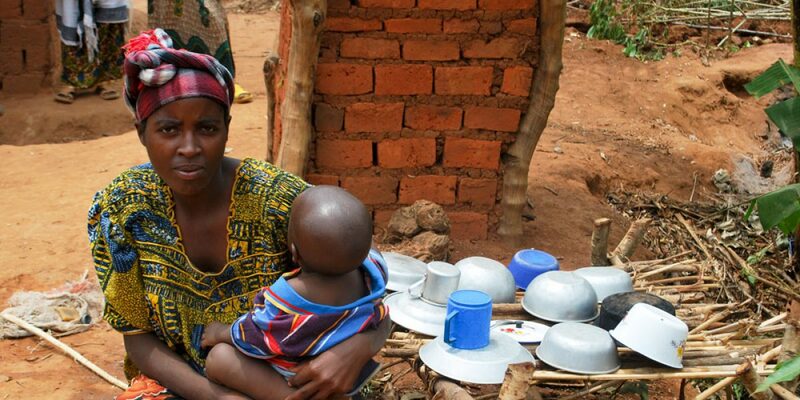 Swavis Nzeyimana is a 22-year-old mother of two children, aged five and seven months. Since January, she has been attending basic literacy classes. Until a few years ago she lived in a refugee camp in Tanzania where she was denied an opportunity to go to school because her father decided to educate his sons and leave his daughters at home to do household chores. “Now that I’ve learned to read and write, I feel stronger and more independent and my husband shows more respect for me”, said Swavis. Fidel Nahayo, Swavis’ husband, is proud of his educated wife. “Swavis has become president of a women’s association because she can read and write, and when she obtains the official literacy certificate from the ministry, she’ll be able to find a job”, Fidel explained. Fidel expressed the gratitude he had for receiving education at a young age and was glad his wife could receive the same positive benefits. Moreover, continued Fidel, his wife now feels more resourceful in managing their small house. “At school she also learned hygiene and family management. Some time ago, she decided to build external toilets, now the quality of our life improved considerably”.